Yay! 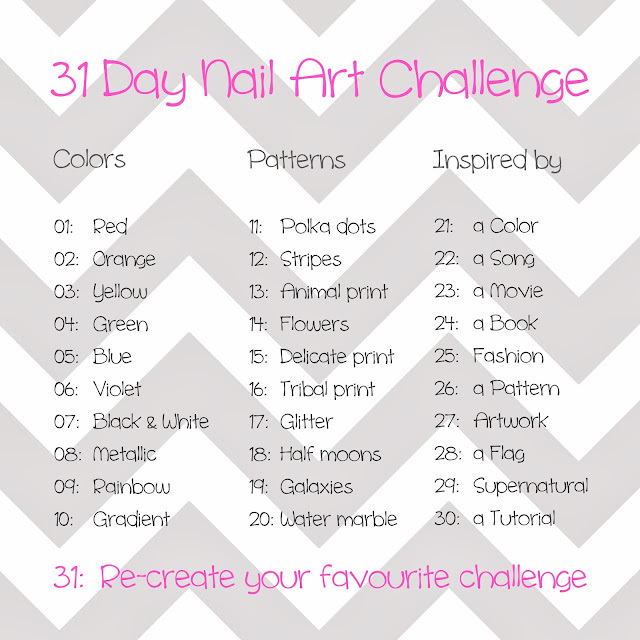 Today’s challenge is rainbow! I was looking forward to this challenge because I had already a design in mind. 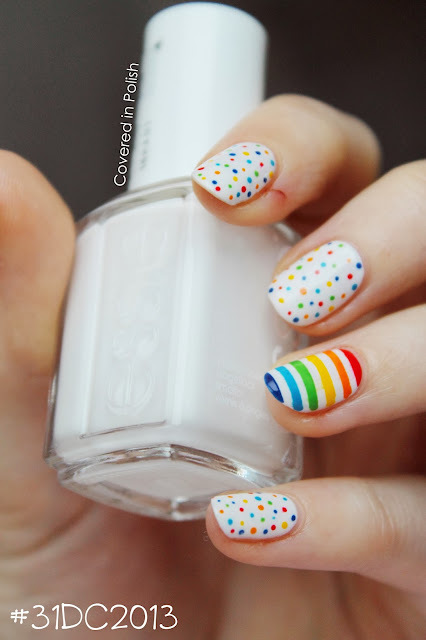 I recreated this manicure from Missadelinne. I found it on Pinterest, but had a hard time finding out whose it was originally, because this picture was all over the web without a name or watermark. I find it disturbing that people just use pictures without giving credit to the nail artist who made it. So here you go Missadelinne, I got my inspiration from you. 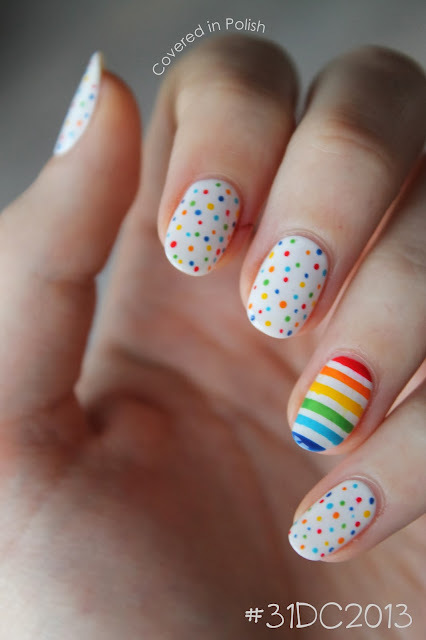 You are a wonderful nail artist which I admire. 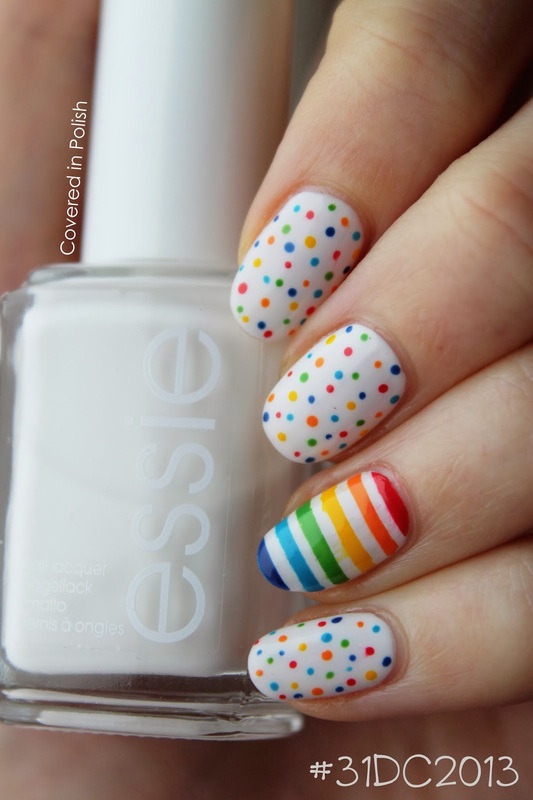 Here’s my take on her Colourful Dots and Stripes manicure. I used quite a few polishes as you can see. 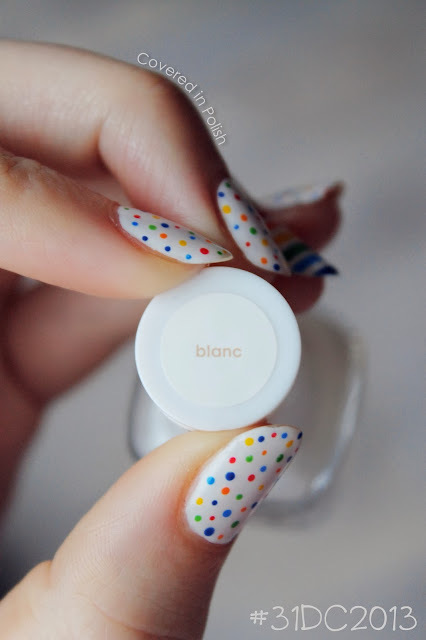 The base is Essie Blanc. For the rainbow colours I used Catrice Abloom (red), Catrice Orange Utan (orange), Kiko 279 (yellow), Catrice Miss Piggy’s BF (green), China Glaze Sunday Funday (blue) and China Glaze Man Hunt (dark blue). I created the lines using striping tape. 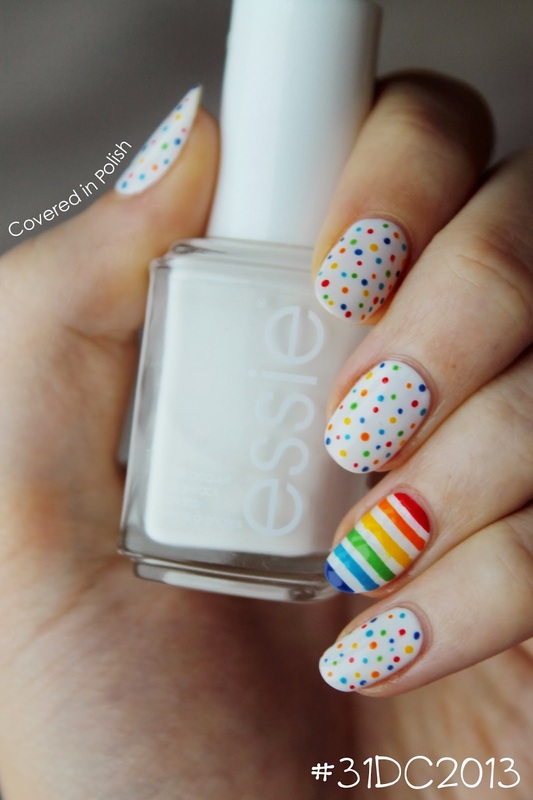 This is such a fun and colourful manicure! 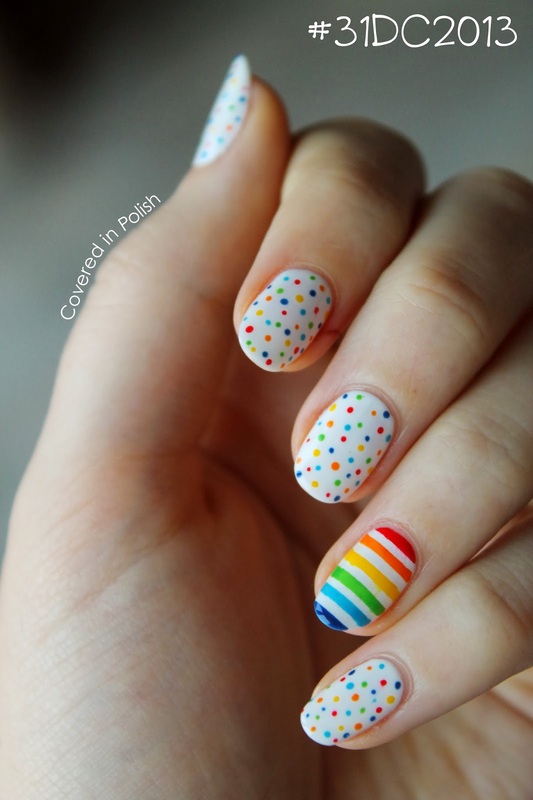 I love how these were originally inspired by a rainbow cake! Maybe I need to paint my nails more often with those bright colours. They're so fun and sunny in these cold days!